There has been a lot of excitement about startups in the last couple of years. Much of this has been driven by the stratospheric valuations of some prominent startups, and the resultant coverage in the press. Tales of rivalry (particularly in the e-commerce and payments space), intrigue and idiosyncratic behaviour (most notably Rahul Yadav at housing.com) have added spice to the menu. The numbers have also been stacking up. India now claims to be No. 3 in number of startups, after the United States and Israel. 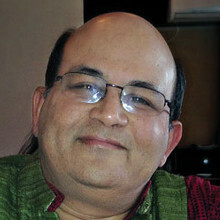 Indian Institute of Technology (IIT) Bombay director Devang Khakhar was recently quoted as saying that one in four IIT Bombay graduates is taking the startup route. At almost every conference or event I attend, it has become fashionable for at least a few speakers to hold forth on the importance of our young graduates becoming “job-creators rather than job-seekers”. The government has jumped on the startup bandwagon in a big way with the Start-up India programme. Making formation of a company easier (I saw a thread on the social media that you can now start a company in a day), removal of barriers faced by startups in government procurement, and tax breaks have already been announced. But, amid all this excitement, we don’t have too much authentic information on what kind of startups are being created. Anecdotally at least the picture I get is that many startups are centred around apps, offering convenience as their value proposition. Startups seeking funding from venture capitalists find that it is easier to explain a business in terms of “We are an Indian version of ABCD” rather than to come up with something that is genuinely original or that solves “real” Indian problems. I really wonder how many food delivery companies we need. But I guess the market will sort this out. My own interest in startups has been driven by their potential to create a technological and business model renaissance in India. Established large firms in India, particularly of the family business group owned variety, seem to have severe limitations in the kind of innovation they are willing to undertake even though they are well endowed financially. We badly need a new generation of tech-savvy firms that can change this landscape by building new capabilities. On a recent visit to Bengaluru, I made the trek to a startup that stands out—Team Indus. 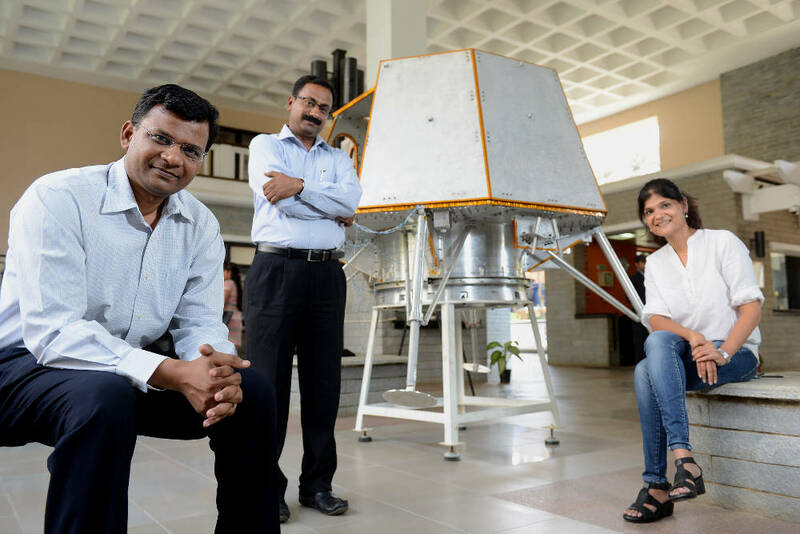 This company represents India’s hopes in one of the most difficult global grand challenges—for the Lunar X Prize. The challenge itself is deceptively simple: land on the moon, get a rover to traverse 500 metre from the landing spot, and then take pictures and transmit them back to earth. The first group to do this before the end of 2017 will win $20 million. Team Indus has made reasonable progress so far. The mission concept was formulated in 2012 and systems design started a year later. A major motivational boost came from winning one of the milestone prizes worth $1 million for landing technology in January 2015. All going well, the Indian Space Research Organisation (Isro) will launch Team Indus into space through a dedicated polar satellite launch vehicle (PSLV) in September 2017. Team Indus has serious global competition of course, but is currently rated among the top three firms in the race for the prize. The Team Indus project represents a major challenge for Indian engineering. Lunar landing is just one of the challenges that Team Indus spacecraft will encounter but gives us a sense of the technical complexities involved. Soft landing on the moon has been achieved only by three superpowers, the Americans and the Russians in the 1960s and 70s, and China in 2013. Isro was successful in building a lunar orbiter in Chandrayaan, but the Indian Space Programme has not attempted to land on the lunar surface so far. As Rahul Narayan, CEO, and Vivek Raghavan, adviser, explained it to me, the Team Indus spacecraft lunar descent will start at 12.6 km above the surface of the moon, with the spacecraft traveling at 1.69 km/s (Mach 5+). The landing zone is selected 700 km downstream from the descent point and the entire descent will take about 900 seconds. The descent needs to be completely autonomous, since the time needed to tele-command the spacecraft from earth is too long. 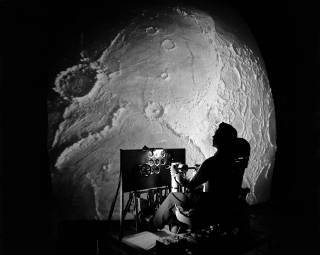 Since the moon has no atmosphere, the engines need to be fired to reduce the velocity to land on the moon. The spacecraft has one main engine delivering 460 newton (N) of thrust and 16 thrusters of 22N that are used to kill the velocity and control the spacecraft. The descent is guided by a number of sensors including a laser altimeter, an inertial management unit (IMU), star sensor, two lunar descent cameras and four laser range finders. The firing of the engines is computed using the inputs from sensors to follow a fuel optimal trajectory to achieve touchdown. There are five phases during descent. The navigation and guidance strategies are different for each phase of descent. The spacecraft mass at the beginning of descent is 400 kg and it burns 200 kg of fuel during descent. The spacecraft speeds need to be less than 1 metre/s in both the vertical and lateral direction at touchdown. Most of the technical challenges focus on keeping the weight as low as possible—this requires continuous optimization. Half the weight will be taken up by the fuel and propellants. 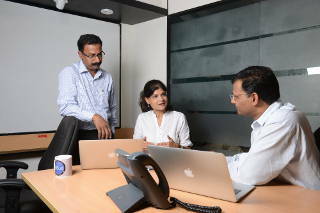 Unlike internet startups which can keep tweaking their websites, apps or delivery models, Team Indus will have only one chance to get it right. All of its subsystems have to perform during the actual launch. Team Indus has the benefit of India’s 40+ years of experience in space exploration thanks to Isro. The 75 people-strong system engineering team of Team Indus includes 15 former Isro engineers but Indus can take limited direct help from Isro as the Lunar X Prize rules allow a maximum of 10% support from the government. In any case, Isro doesn’t have direct experience for all the steps. Team Indus is located in two large halls not far from Jakkur, just off the Bellary Road. One hall is filled by engineers and scientists, poring over computer screens, working on designs and calculations. The other hall has different prototypes lined up. These are used to test and verify different aspects of the mission. The long-term vision of Team Indus is to be a space engineering company. Space travel is gradually becoming a private commercial space and, if it can build a good systems capability, Indus can become an important player in this space. At this point though the launch involves resource mobilization challenges apart from the technical ones. Space grade components and materials are expensive, and have to be sourced worldwide—engines from Japan, others from Germany, US, etc. Thanks to Isro though, fortunately there is a local ecosystem of vendors and suppliers that has grown over the years. The launch cost is expected to be of the order of $60 million. Team Indus is exploring creative ways of raising funds through crowd-sourcing, appealing to national pride and the inherent romance of space exploration. I am hopeful that this enterprise will catch the imagination of the leaders of some of our large companies who pride themselves on their engineering prowess. India has shown that it has the ability to be a low-cost, yet effective player in space. India’s Mars mission, Mangalyaan, cost much less than what many other countries spent. More importantly, it has been largely successful where many other countries failed. The only doubt that arises is whether the costs reported by Isro reflect the actual costs incurred as they probably underestimate the benefit that Isro has received through the cumulative investments in the organization over time. It’s now up to Team Indus to show us that India has a genuine high-end but low-cost engineering capability that we can exploit commercially. To go forth where no man has ever gone before. No man or company in India, that is! Viva Team Indus.